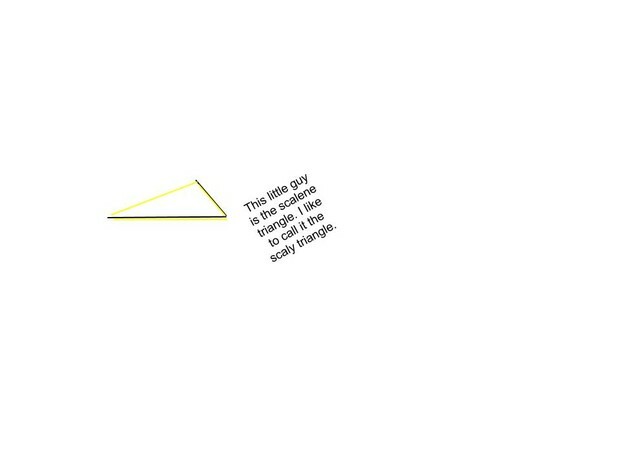 That up there is a right triangle. 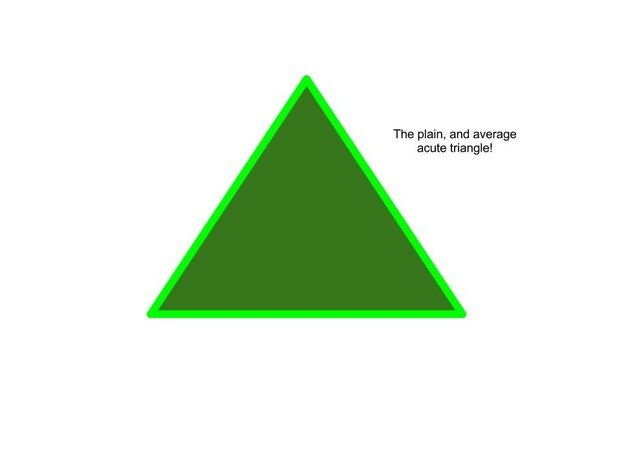 It has two acute angles and one right angle. This guy right here is the acute triangle. He has all acute angles. 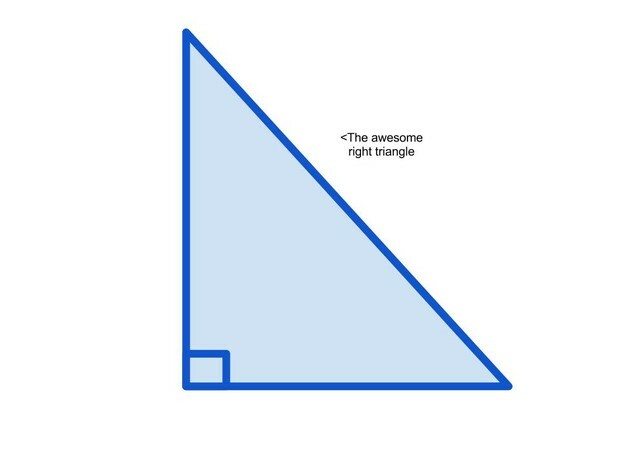 These are the triangles by sides. Let me show them to you. 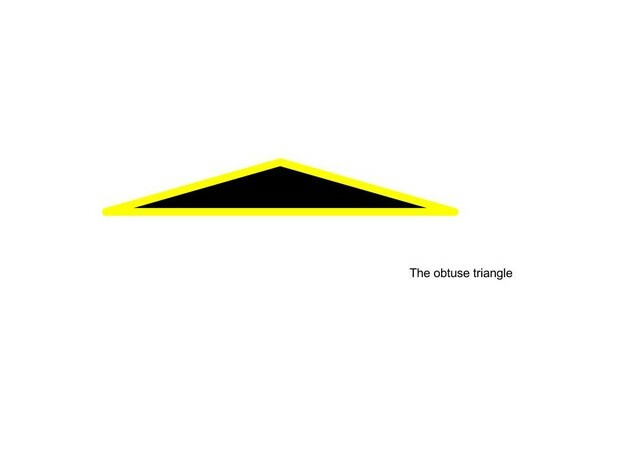 Right up there is a scalene triangle. It has NO congruent sides nor angles. 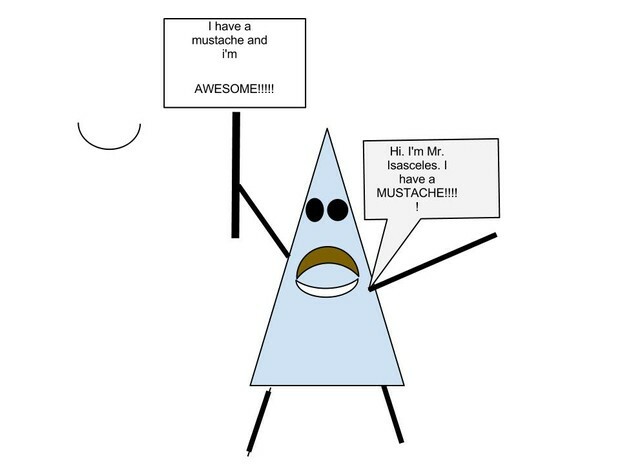 The awesome triangle with a mustache up there is Mr. Isasceles. He has 2 congruent sides and 2 congruent angles. 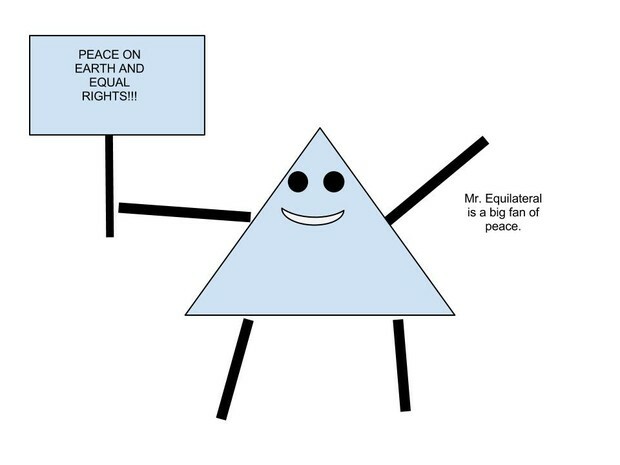 This here is Equilateral Guy. He is has a strong belief about peace on Earth and equal rights. He also has ALL congruent sides and angles. Now we are ALL done with triangles, now we're going to angles!